Successful students from Fife College have returned from the USA with a clutch of medals from the Nations Cup’s International Student Culinary Competition. 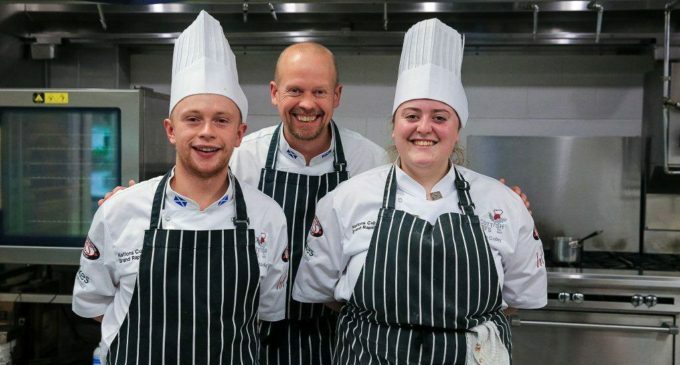 HNC Professional Cookery student, Sadie Colley, (19) from Ladybank and former student Thomas Macneil, (22), from Leven, travelled to Grand Rapids in Michigan with lecturer Michael Henderson (pictured above with Thomas and Sadie) to compete against countries from across the globe. Applications are now open for courses starting in January 2018 at Fife College. Visit www.fife.ac.uk for more information.